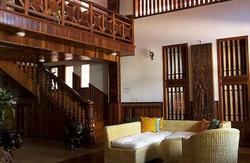 A Khmer/Western managed guesthouse located within a ten minute walk of the town centre. SiemReapRooms is one of the most popular places to stay in Siem Reap, in fact we were voted the most popular guesthouse in Cambodia by Hostelworld customers, and we were awarded the Hostelworld Hoscar award for Cambodia in 2012/13. The guesthouse is managed by Jia, Vesna and Phil with their team of friendly and helpful staff. 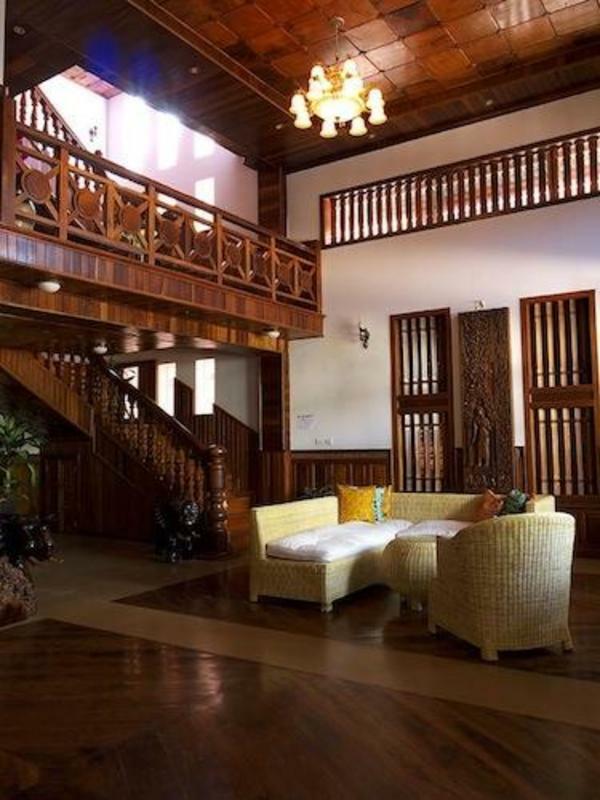 Jia is the General Manager of the guesthouse and Veasna is the Assistant Manager. Pre-arranged Siemreaprooms tours are managed by Phil who is a British guy who has lived in Siem Reap for nearly 10 years and has vast experience of arranging tours around the Angkor Temples and other places in Cambodia. PLEASE NOTE: Once you have made a Hostelworld booking with us, we will send you an email to ask if you would like to use our pick up service. We can also pre-arrange guided tours for you or if you prefer you can book our daily tours at our tour desk on your arrival at the guesthouse. SiemReapRooms is only a ten minute walk from the town centre. We are just off the main Wat Bo road on a quiet street, which is only 900 metres away from the Old Market and Pub Street area. Close to all the cities attractions, this is an ideal location to experience all of Siem Reap's excitement but far enough away to return to a peaceful room for some well deserved rest. Due to our quiet location, friendly staff and delicious Western style breakfasts we are very popular with people looking for a quiet and friendly place to stay with a Western management style. We have a large front patio where you can check out our Western breakfast menu, a beautiful roof top lounge with a small soaker pool and t.v room. The roof top is a great place to watch the sunset and relax after a long day of temples. 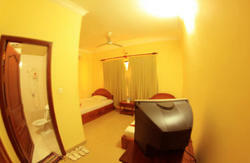 We have 14 immaculately clean rooms, which are all A/C rooms. All rooms have private en suite bathrooms with hot water and cable T.V. Free wifi and internet. Pick up service is also available. If you are arriving overland from Bangkok via Poipet, please let us know and we will send you information about the trip so you do not get scammed at the border. Remember, if you need a pre-arranged tour then please let us know. We recommend a pre-arranged tour if you want to get the most out of your visit to Angkor. We hope to see you soon at Siem Reap Rooms Guesthouse! 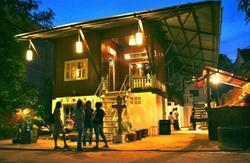 Siem Reap Rooms Guesthouse is located 900m from the Old market on Street 26, just off Wat Bo road. We are just down the road from Angkor Villa Hotel on the same road as the famous Apsara Theatre. If you book online we will promptly email you back to arrange a pick up for you if you would like us too. We can also advise you about overland travel from Bangkok to Siem Reap so you avoid some of the scams on this route. For us to be able to arrange a pick up we require exact arrival details. If you are arriving by air please send flight number, departure city and arrival time. Since there are numerous bus companies that operate in Siem Reap that stop at various locations we require the bus company name (not ticket/tour company) departure city and estimated arrival time. There is not a central bus station within the city. Please email arrival details 24 hours in advance of your arrival date.